Counties in states that expanded Medicaid had a small but significantly lower cardiovascular mortality rate compared to areas that didn't expand Medicaid. The beneficial effect was highest in nonmetropolitan counties and those with high poverty rates. ARLINGTON, Virginia, April 5, 2019 — Counties in states that expanded Medicaid coverage under the Affordable Care Act had fewer deaths annually from heart disease compared to areas that did not expand Medicaid, according to preliminary research presented at the American Heart Association’s Quality of Care and Outcomes Research Scientific Sessions 2019, a premier global exchange of the latest advances in quality of care and outcomes research in cardiovascular disease and stroke for researchers, healthcare professionals and policymakers. Medicaid expansion under the Affordable Care Act (ACA) of 2014 led to one of the largest gains in health insurance coverage for non-elderly adults in the United States. Because cardiovascular disease and risk factors have a higher prevalence in uninsured people, researchers wanted to determine if Medicaid expansion had any meaningful effect in that population by studying whether trends in cardiovascular mortality for middle-aged adults differed between states that did and did not expand Medicaid. Counties in states that expanded Medicaid had about four fewer deaths from heart disease per hundred thousand residents compared to states that didn't expand Medicaid, which translates to approximately 1,800 fewer deaths per year in the areas that expanded Medicaid. Co-authors are Anjali Bhatla, Ashwin S. Nathan, M.D. ; Jay Giri, M.D. ; Changyu Shen, Ph.D.; Dhruv S. Kazi, M.D. ; Robert W. Yeh, M.D. ; and Peter W. Groeneveld, M.D. Author disclosures are on the abstract. Dr. Khatana reports there was no funding specific to this study. Note: Scientific presentation is 11:25 a.m. ET, Friday, April 5, 2019. 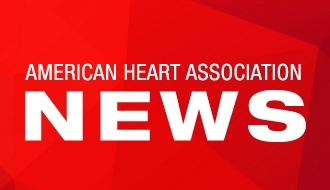 Follow news from the American Heart Association’s Quality of Care and Outcomes Research 2019 via Twitter: @HeartNews #QCOR19. Sameed Ahmed M. Khatana, M.D. Fellow in Cardiovascular Disease, Perelman School of Medicine, University of Pennsylvania, Philadelphia, PA.